Pilots should “avoid the use of slang” in international communications. For those pilots that will fly some international trips during their career, it is worthwhile to explore what that statement really means. The challenges of international flying include more complicated IFR procedures, country differences, lack of radar coverage, and generally less ATC “support” than domestic pilots are used to. All of these issues are often complicated by the limited English abilities of controllers (and pilots) who are from countries where English is not the native tongue. Even in those countries where English is spoken, their version of English is often dramatically different than what Americans are used to. In all countries, Air Traffic Control English is a language unto itself, where precise meanings of words are defined within the ATC framework to avoid ambiguity and general miscommunication. Therefore, safety dictates that pilots stick to correct phraseology only, without adding extraneous verbiage. Additionally, using non-ICAO standard phraseology in the international arena does little for our professional image. Pilots and controllers who speak only limited English are often only familiar with the English words as defined in PANS-OPS Document 4444, Chapter 12. As they are limited to these words and meanings, it is very easy for us to confuse them by using other words that are not defined, or using terms they are familiar with in a different context. An example from the world of computers are the words “bug” and “virus”. All computer people know the definition of these words as they pertain to computers, but many non-English speakers have no idea that there are other definitions of these words. The phraseology used by U.S. ATC is unique to the U.S. The rest of the world is actually more or less standardized to the ICAO meanings and phrases (well, the UK likes terms such as “flight level one hundred” or “flight level two hundred” or “set course to” etc., but those are fairly easy for us to understand). For example, such terms as “level”, which is taken to mean the same as “maintaining an altitude” in the U.S., is, instead, used as a shortened version of Flight Level in most of the world outside the U.S. A controller in many areas of the world might only understand the word “level” in the context of “flight level”, and have no concept that the word also means that you are flying at a constant altitude. I heard clear example of this sort of miscommunication in an ATC response to a pilot saying “level 4000” in a region where the transition level was FL90. 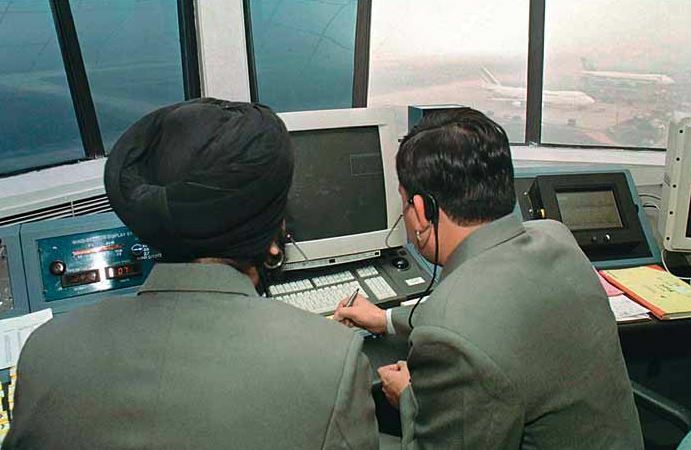 The controller replied “roger, QNH 1010, transition level FL90”, which resulted in several back and forth responses between the pilot and the controller. Listening in it was clear to us that the controller assumed that the crew had not switched over to the local altimeter setting, so was actually reporting “maintaining flight level 40”, obviously an incorrect altitude reference when below the transition level. In another example, Air Traffic Controllers will know what the symbol “O” is, and that the phonetic of that symbol is “Oscar”, yet they may not have any idea what you mean if you say “Oh” when you mean to say “Zero”. Similarly, they are not taught what “fifty-one” means, but they will certainly understand “five-one”. The digits zero through nine are in the PANS-OPS – higher numbers are not. Although some foreign controllers do know more than this basic English, using terms other than these is just inviting confusion. “Point”. In PANS-OPS a “point” is a position, i.e, a compulsory or non-compulsory reporting point, not a word to be used instead of “decimal”. Along with this, “two four point seven” (or worse, “twenty-four point seven”) is not a flight level or altitude. There is, however, a flight level “two four seven”. The use of the word “point” has no place in international communication outside of a geographical position. “Looking for lower”. Should net an interesting response in some of the back-water places you might fly to. Correct PANS-OPS term is “Request descent”. “With you”. This phrase has no place in international or domestic operations, as many controllers will tell you. Along with “checking in”, these terms grate on many controllers (just the messenger here!) but if their English is weak outside of the basic PANS-OPS, it may just confuse them. “Level”. As discussed above this is a standard shortened version of the term “flight level”. If you want to tell them you are at an altitude, use the word “maintaining”, or just omit it altogether. Attempt to avoid extra verbiage in general. It may be nice to say “good morning” or “any chance of” and the like, but in using those terms you are assuming that the controller (or ground maintenance on the headphones) understands more than basic ICAO English. Some do, some don’t. I recently heard a U.S. carrier asking a Chinese controller for “ride reports”. The controller had absolutely no idea what he was asking, and we could hear the frustration in the ensuing exchange on the part of both parties. Be careful also with the terms “to” and “for” in the context of altitudes. While these terms are defined in the PANS-OPS, they contain obvious ambiguity. Omitting them might be worthwhile if there is any doubt, i.e. “4000 climbing 5000” or “FL1-4-5 descending FL8-0”. While it would be nice if all non-U.S. controllers were truly fluent in English, the fact is that most are not. It is not unreasonable for them to expect us to stick to the narrow scope of English that is in the official publications. Instead of being frustrated that most of the world’s controllers do not really know English, just be thankful that the French did not get their way on the choice of languages for aviation! Those pilots who fly international should read and be familiar with the ATC phraseology section of the PANS-OPS, which is contained in route manuals, i.e., Jepp ATC sections or similar, or from the PANS-OPS Document 4444, Chapter 12. Those new to international can also learn by listening to the radio techniques of more experienced pilots, whether they be from their own company or airlines such as Cathay Pacific or British Air. If you have trouble reverting from ICAO to domestic phraseology, keep in mind that a U.S. controller will always understand what you mean when you use an ICAO term, such as “decimal”, but the converse is not true. Radio technique may seem a small thing, but experienced pilots use correct radio technique because it increases the safety of the operation as well as preventing a great deal of unnecessary frustration. You also sound like you know what you’re doing! This entry was posted in Safety and tagged Airline Safety Investigators Shem Malmquist International communications language barriers slang. Bookmark the permalink.